Metal Gear Rising: Revengeance, Konami’s slice n’ dice entry in their long-running Metal Gear series, has now been ported over to Mac. The sad truth of the matter is, Raiden actually runs FreeBSD. In 2013 Metal Gear Rising: Revengeance introduced players to a completely new way to view the Metal Gear series. After having featured stealth entries, tactical entries, even card-game entries, Metal Gear Rising: Revengeance instead made the series pure hack and slash goodness along the lines of Devil May Cry or Bayonetta. Except with more cyborgs, because cyborgs are awesome. Despite quite a bit of initial skepticism from news media and many players, Metal Gear Rising: Revengeance has grown to be considered one of the better entries in the series as a whole, with the game’s unique dismemberment and health/upgrade system making the game more than just another fast-paced slice-em-up. Originally released for both the PS3 and Xbox 360, it didn’t take Konami long to see the benefits of porting the game over to PC as well, where it continued to impress audiences. 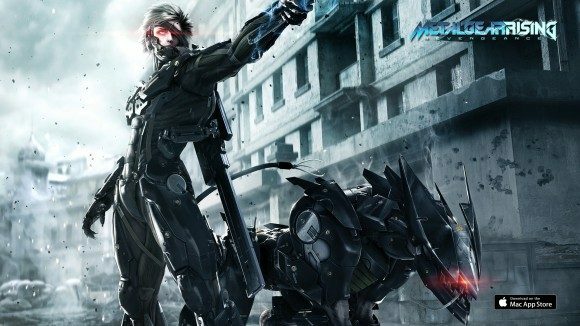 Now, with the help of Transgaming Inc., Konami is expanding Metal Gear Rising: Revengeance’s legacy to include the Mac platform as well. This is all part of a new market strategy for Transgaming Inc., who are looking to expand the scope of their publishing practices to include major PC/console releases getting ported to Apple and other platforms. Metal Gear Rising: Revengeance is only the first of many games the company hopes to help make the transition. If the idea of Raiden slashing his way through giant robots, countless cannon fodder enemies, and perhaps the occasional everything else on your Macbook is something you’ve dreamed about, then there’s no reason to wait: Metal Gear Rising: Revengeance is available now both through Apple’s own app stores and, of course, Steam. The game’s normal price is $29.99, but in commemoration of its new platform the game can be had for a short time for 10% off.